North Channel Bank is pleased to inform that Stefan Rensinghoff is formally managing director of the bank as of September 01, 2018. He has been a member of the Executive Board since March 01, 2017 and previously held the position of General Power of Attorney. At North Channel Bank, Mr. Rensinghoff is responsible for the financing of and investment in US Life Settlements as well as for the cooperation with the US affiliate NorthStar Life Services. North Channel Bank is one of the few banks in the world to provide a high level of expertise to investors in this particular sector. Mr. Rensinghoff is also responsible for the Asset Management and Treasury divisions. Stefan Rensinghoff has a profound know-how in structured finance, from export finance to trade finance, project finance, LBO finance, and securitizations. During several years in Indonesia and Hong Kong, he built up the Asian markets for IKB Deutsche Industriebank AG. Subsequently, he made the financial institution one of the leading providers of LBO financing in Europe. He has successfully developed and expanded business models on a number of occasions and has extensive experience in advisory-intensive services such as M&A transactions and debt advisory. 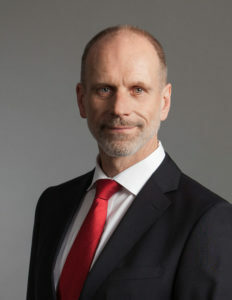 Stefan Rensinghoff has been demonstrating his leadership qualities internationally for 25 years in a wide variety of situational challenges and has an extensive network in banks, insurance companies, family offices, and corporates.